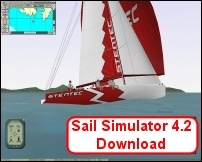 Affordable download version of our physically most realistic Sail Simulator 4.2 incl. 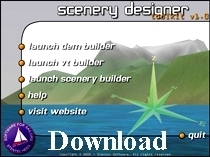 Scenery Designer Toolkit for creating your own sailing area. Standard with Soling, Valk, Tornado Catamaran and Sailing Course. 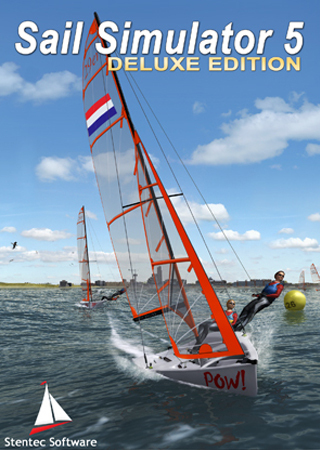 More boats, area and language packs can be downloaded from www.sailsimulator.com. After purchasing you receive download instructions and your licence codes by email. Enjoy the aerodynamics of sailing at a very special price. 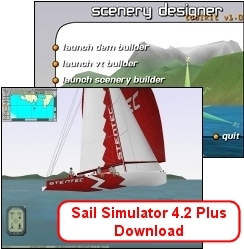 System Requirements: Sail Simulator: Windows 95, 98, XP, Vista, 7, 8 or 10. Pentium III 350Mhz, 64MB RAM, 175MB HD. DirectX 7.0A (or higher) compatible 3D video card. Designer kit: windows 95, 98, ME, 2000, XP.